NOTE: Highlighted Events are of SPECIAL INTEREST for Class of 1992 or HIGHLY SUGGESTED YOU ATTEND. Classes will be notified when to gather at steps. Delicious Menu: Grilled Teriyaki Chicken Skewers, Cajun Blackened Salmon with Raspberry Chipotle Glaze, Baby Back Ribs, Gourmet Sausages (Chicken, Beef & Turkey), Beef Hamburgers, Beef Hot Dogs, Turkey Burgers, Turkey Polish Sausage, Turkey Hot Dogs, Multi-Color Skewers (Cherry Tomatoes, Green Olives, Red Olives, Pepper Jack Cheese Cubes, Red Grapes), Classic Macaroni & Cheese, Fresh Asian Spring Rolls, Baked Beans, Vegetarian Baked Beans, Potato Salad, Coconut Rice, Spicy BBQ Slaw, Cole Slaw, Chilled Fruit Cocktail, Peach Mango Tea, Strawberry Lemonade, Assorted Sodas, Bottled Water, Cookies, and Ice Cream. Military alumni are welcome to wear your military uniform as you will be seated in the alumni section directly in front of the Classes in Reunion. 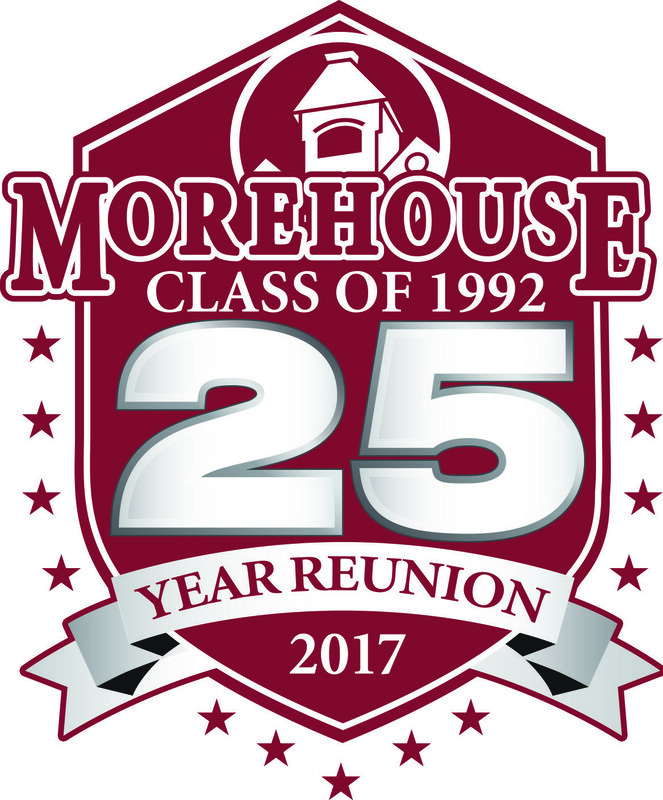 Indicates event organized by MOREHOUSE COLLEGE Alumni Affairs -- official school activities (separate registration fees -- directly via Morehouse --- or the MAROON BUCKET described previously --- scroll to bottom to view). HIGHLIGHTED Highlighted Events are of SPECIAL INTEREST for Class of 1992 or HIGHLY SUGGESTED YOU ATTEND.